One of the true greats in motorcycle history. 1978 DUCATI 900SS DESMO SUPER SPORT – 6,500 miles from new with amazingly, only one owner, silver metallic with blue decals and wire spoked wheels. Truly outstanding condition and benefiting from a recent service and detail. They really don’t come any better than this. 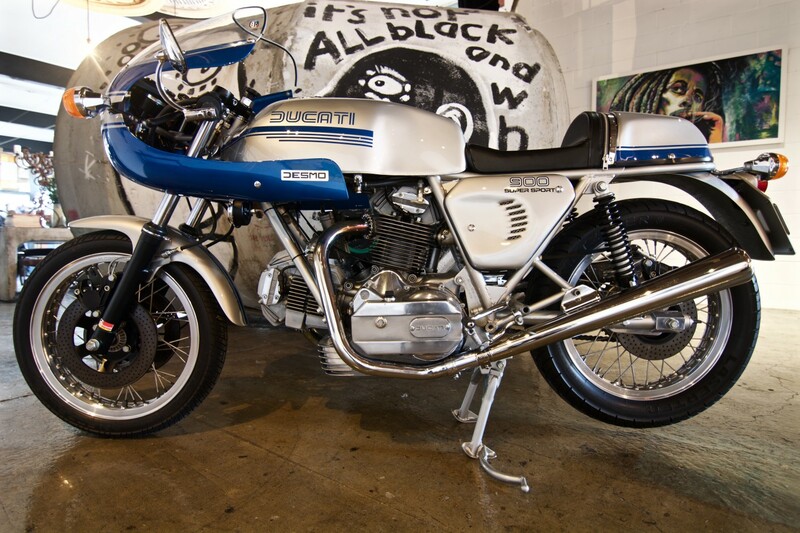 These machines are the pinnacle of Ducati history and as such are highly collectible. 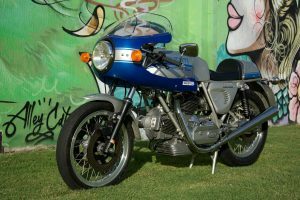 The 1978 model is generally considered by those in the know, to be the bike to have in a collection AND YOU CAN’T STOP SMILING WHEN YOU START IT.. In 1975, two versions of the Super Sport were made available based on the 864 cc “square-case” 90-degree twin cylinder motor; the full 864 cc version known as the 900 and a sleeved down 750. 250 examples of each were produced but the 750 and 900 are virtually identical. 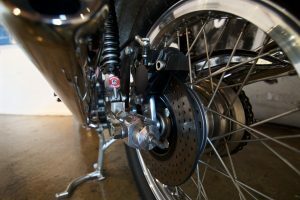 The 1975 Super Sport continued to use the right-side gear shift, contradicting the 1974 U.S. regulation that all bikes must have the gear shifting on the left side of the engine. Despite this, a handful of right side Super Sports have made it into the United States. Most of the subsequent changes made to the Super Sport model were to comply with global legislation. Quieter mufflers, relocated gear lever and rear brake and new foot pegs. The biggest improvement was the redesign of the kick-starter. 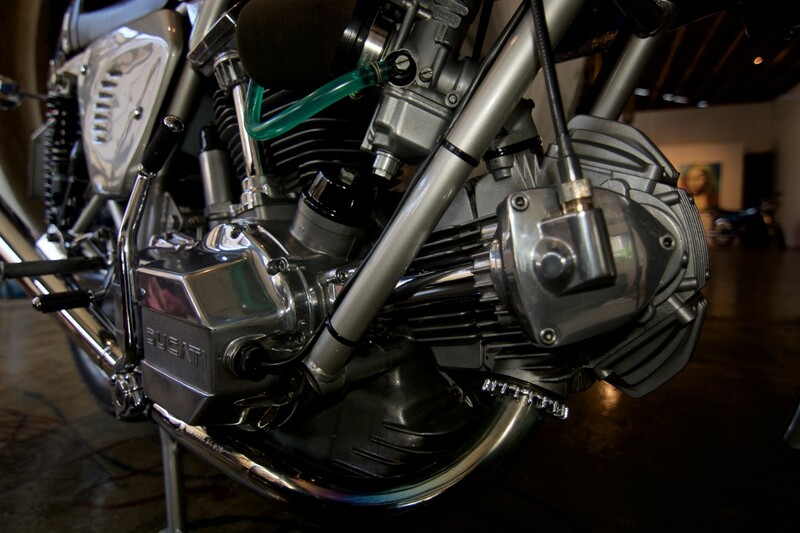 On the 1975 model the kick starter could rotate around and shift the transmission into first gear. 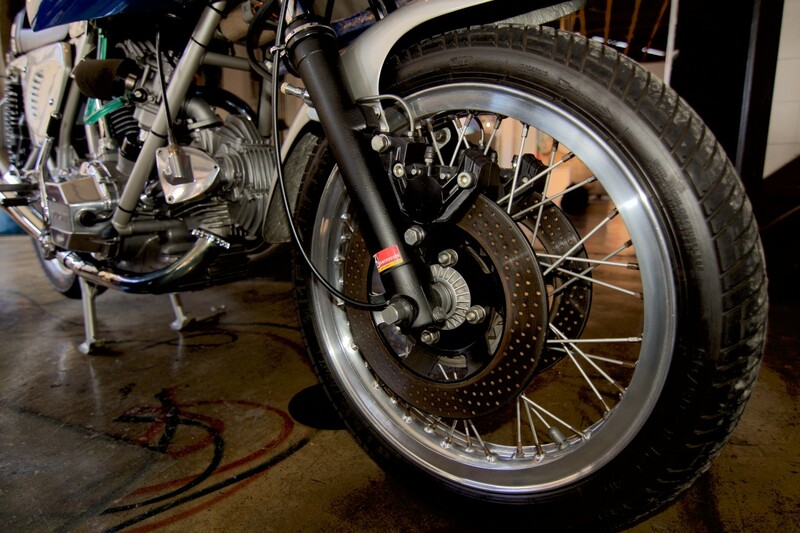 If the bike was not on the center-stand the rider could potentially have a very unpleasant surprise. 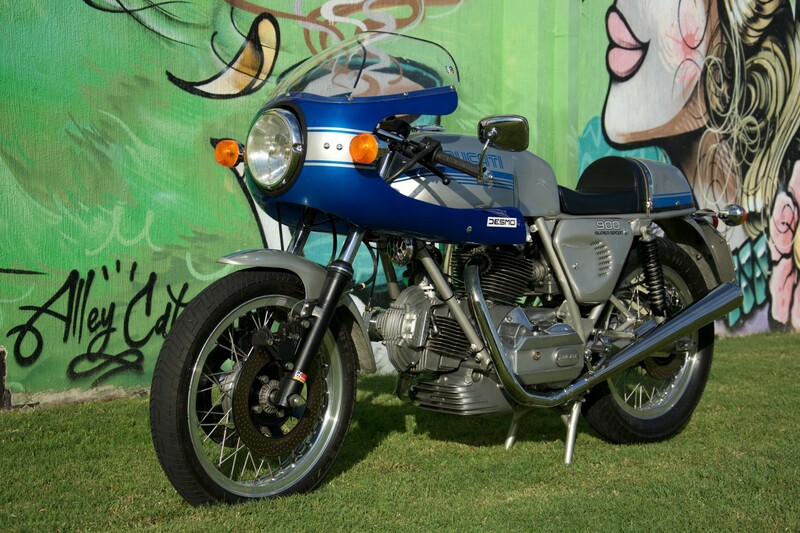 Because the price of the 750 Super Sport was very similar to the 900, BUT very few 750s were produced with the majority of them being shipped to Australia, Germany or staying in Italy for racing applications. By 1978 the bikes looked identical, but several significant improvements had made their way into the motor, making them more reliable and solving problems with engine crankshafts breaking. The electronics also improved as well as some minor timing tweaks making the bike run more efficiently. 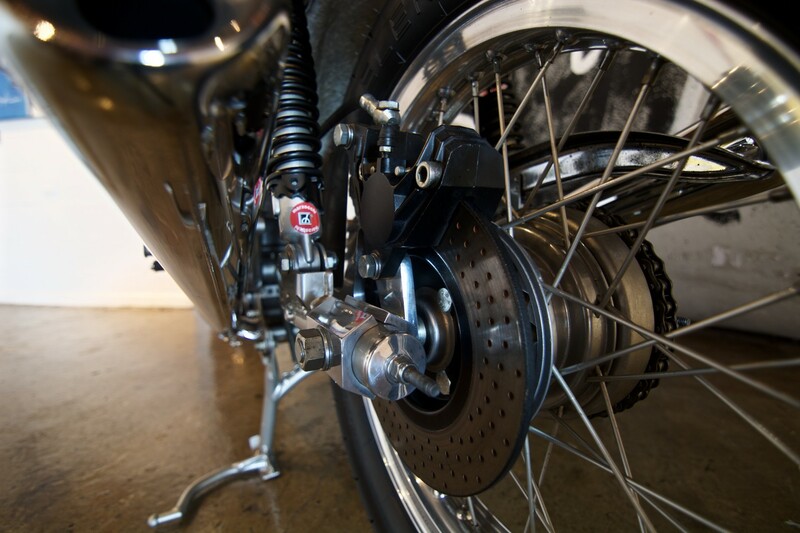 Most notable was a majorly redesigned gear lever that made the bike a lot easier for owners to live with and ride. Most 1978 900 Super Sports also came with a dual seat and lockable tool box. The solo seat was available as an option. 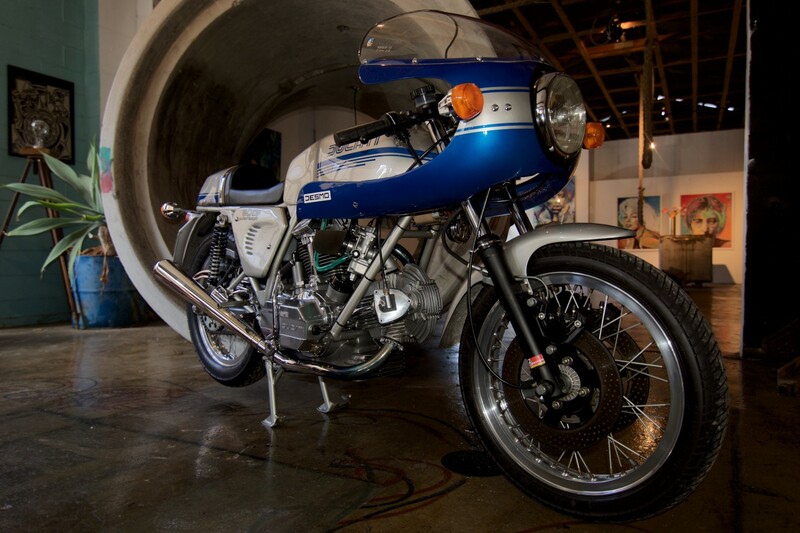 The 1978 Ducati 900SS model year bike is considered to be the finest iteration of the bevel drive square case Super Sports. The 1978 900 and 1979 750s were the last to retain close links with the Imola racers and the last to come with traditional spoked wheels. It was also in 1978 that the Isle of Man TT Formula 1 race was won by a 900 Super Sport, ridden by former World Champion Mike Hailwood in a popular comeback race. In 1979 the Super Sports were painted black with gold accents to appeal to the British market. Cast Campagnolo alloy wheels replaced the Borrani alloy rims and a Mike Hailwood Replica was made available in very limited numbers painted in lavish green and red colour schemes. The new changes, specifically the black and gold paint and cast wheels were very successful at making an ageing design look more modern. The 1980 model stayed essentially the same with no notable changes. Essentially, the Super Sport was being transitioned into the Mike Hailwood Replica. In transit : 1985 Ducati 900 MHR – brand new, unused.